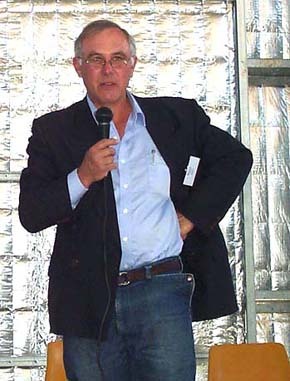 Retired Diplomat Bruce Haigh, in his role of Conference Moderator at the microphone at the Mudgee Muster, the Rural Australians for Refugees' first Annual Conference. 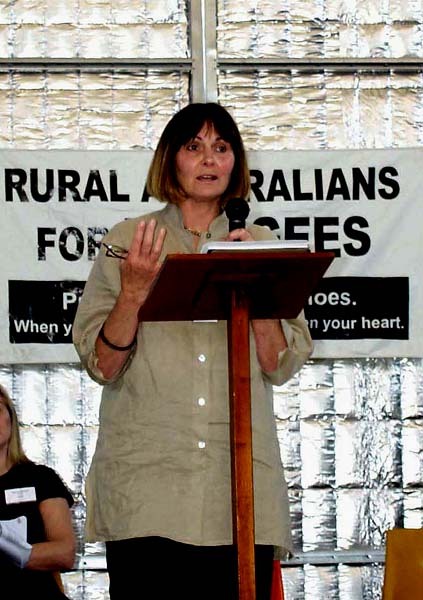 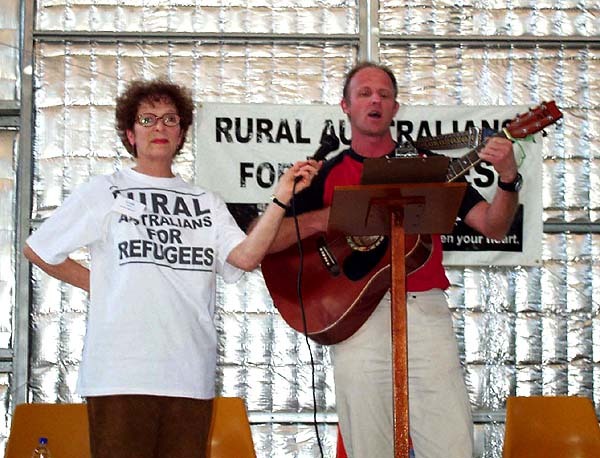 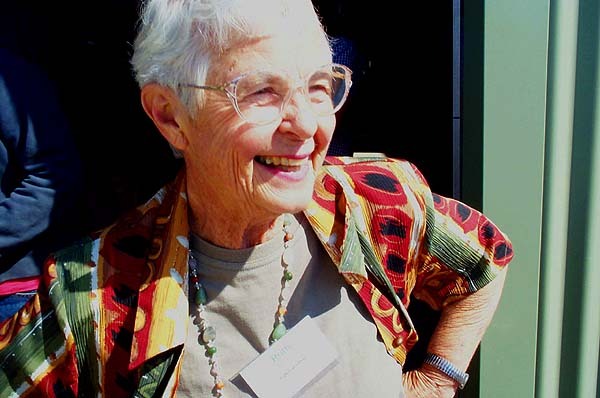 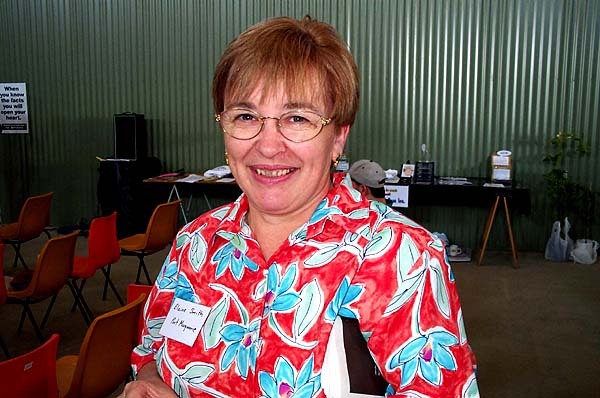 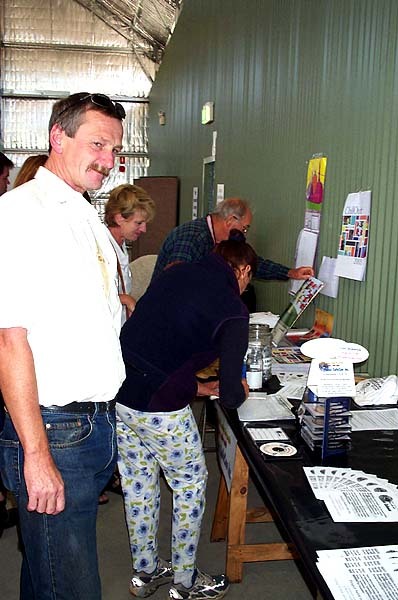 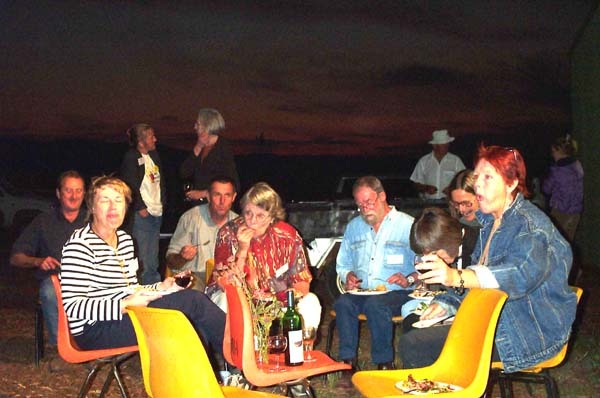 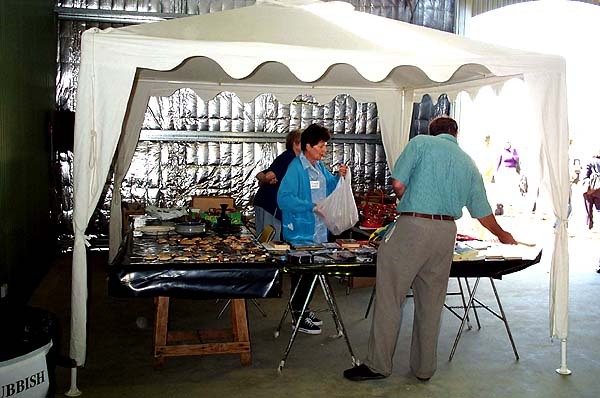 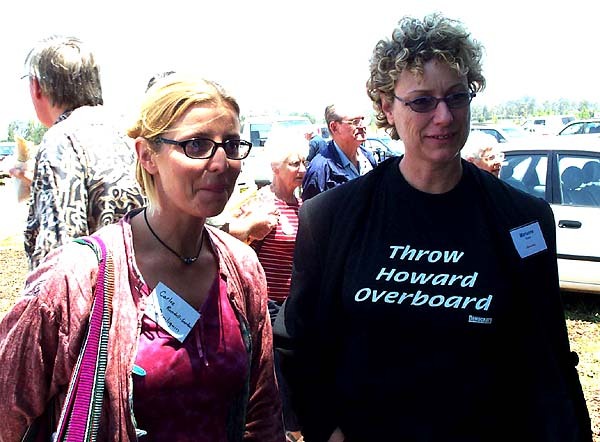 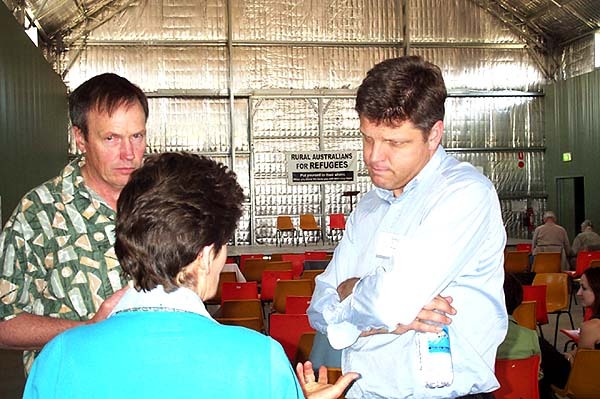 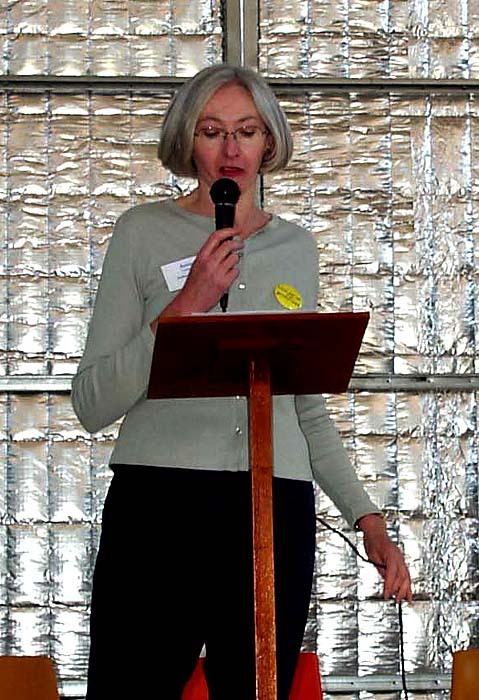 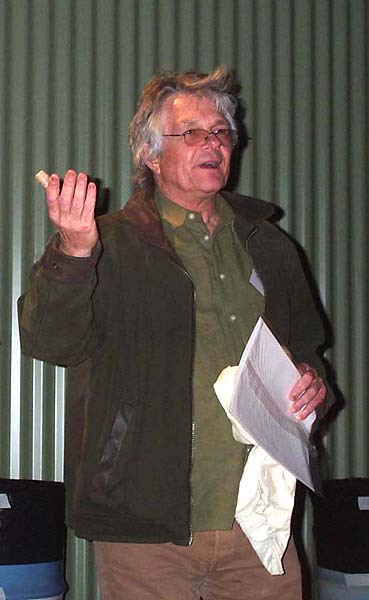 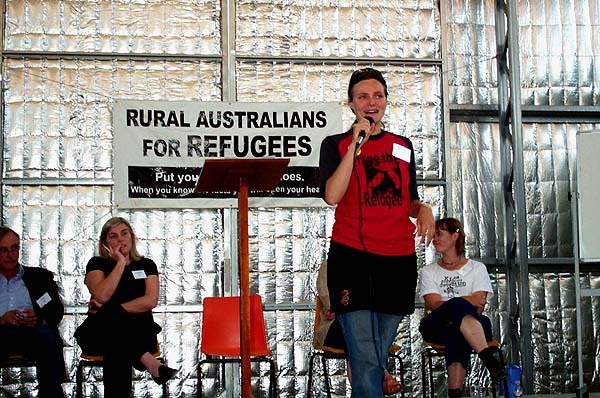 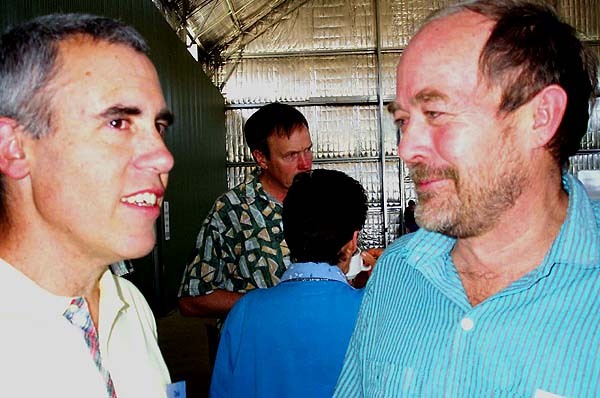 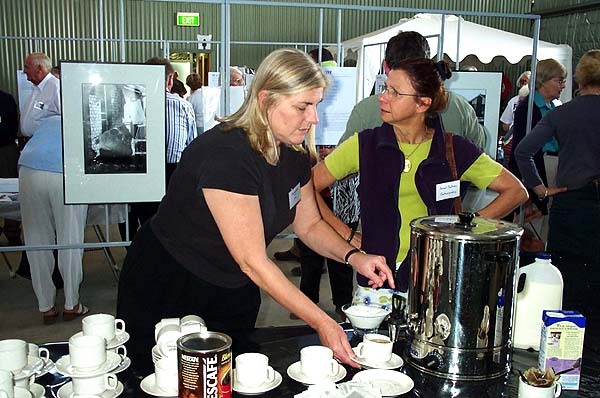 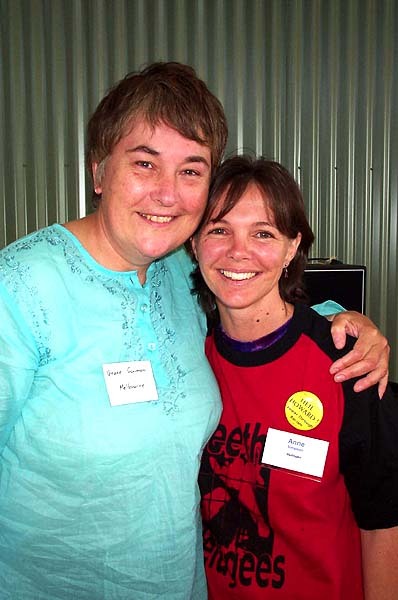 On 7 and 8 December 2002 in Mudgee NSW, Rural Australians for Refugees held its first National Conference. 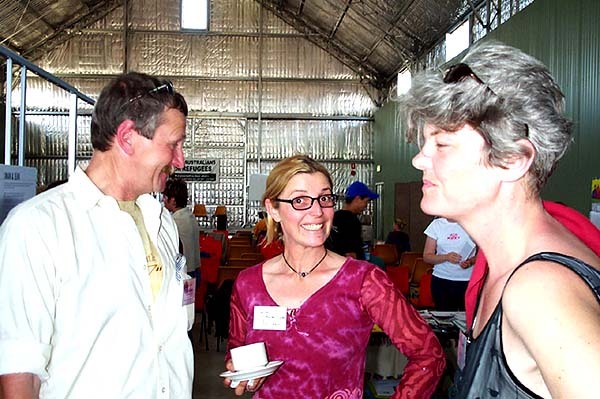 This page displays some photographs taken during that conference. 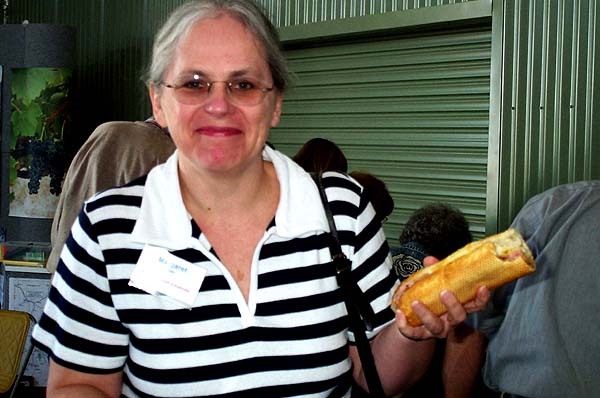 Click on each thumbnail to open the full-size pictures. 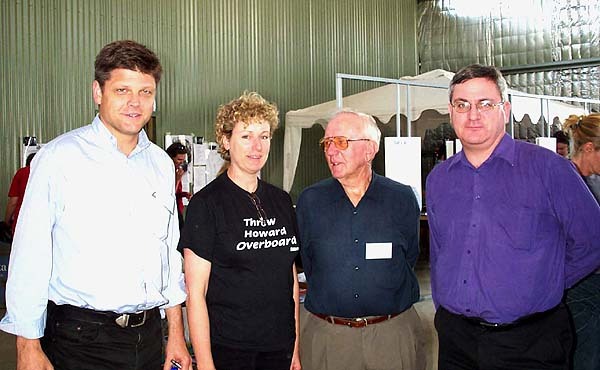 From the reports: "The Mudgee Get-Together was a really terrific event and our thanks again to Mudgee RAR and to Bruce Haigh and Joc Stenson in particular. 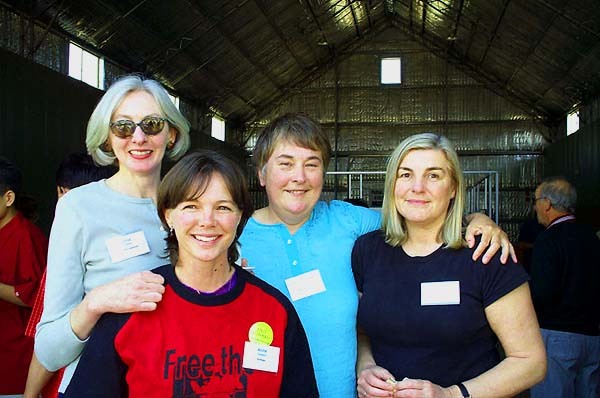 And from Anne, Helen and Susan, the three women who 14 months ago thought they 'should do something', a huge thank you to all of you in rural Australia who have made RAR." 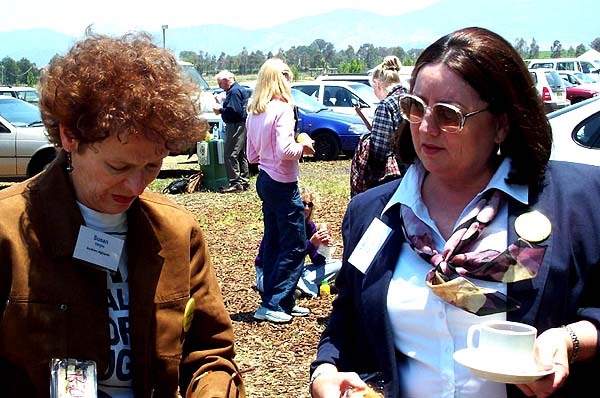 "We might have had the idea, but unless you'd turned up in your numbers and proved to be the energetic, dedicated, passionate people you are, RAR would still be just an idea." 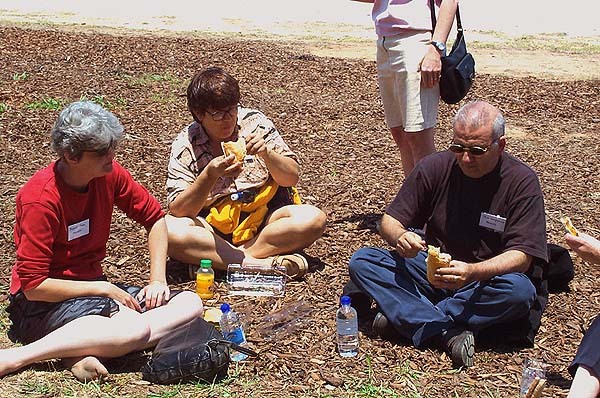 Click on the thumbnails below to open the photos. 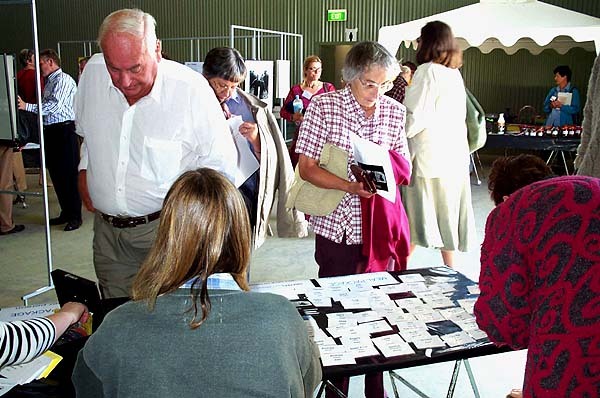 Because of the website's demands for visitors using smaller tablets or mobiles, we've put the photo captions in a list above the thumbnails. 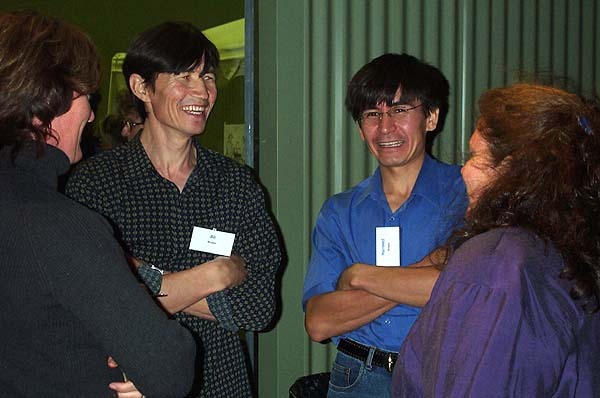 For each row, there are three captions - listed from left to right (you can also click on the captions!). 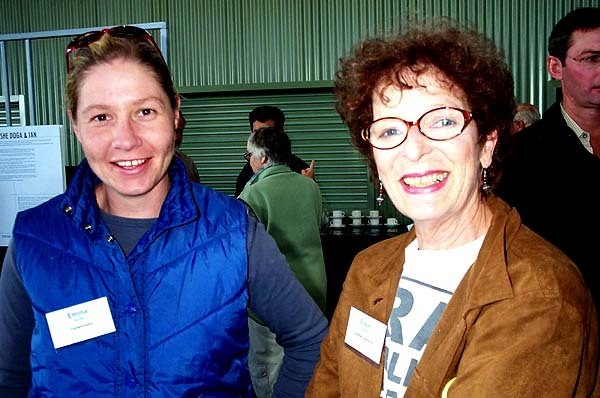 All photos: credit Grace Gorman.